Based on the available basic data, the catchment area model for Wuiyang river basin down to SHP 6 was established. As a high number of small hydroelectric power stations is planned to be built, it is necessary to evaluate large areas with a number of rivers regarding their hydro power potential. Therefore, it is important to find a fast and efficient way to evaluate these large areas and rivers. When considering a site for hydro power generation, it is, among others, essential to explore whether the landscape is suitable for dam building and whether the potential power output of a scheme is attractive. 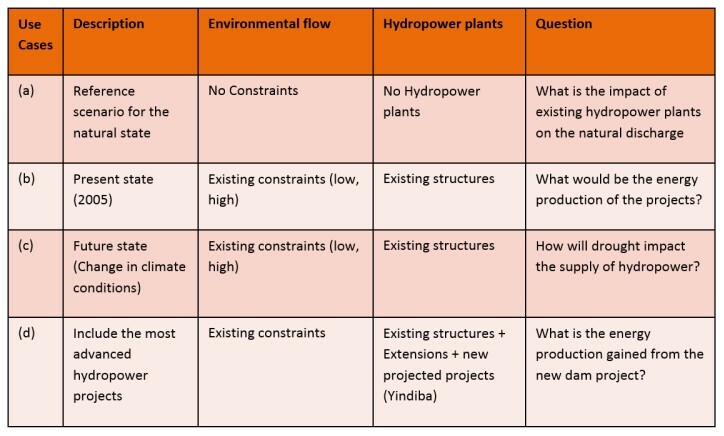 To do so, a 2-step approach was developed in which a number of information is analysed to find those suitable sites for hydro power development. The 1st part of this guideline uses a geographical information system (GIS) analysis that puts all needed data into a spatial context to evaluate large areas. With this GIS based model, it is possible to quickly and efficiently find suitable areas for SHP locations. 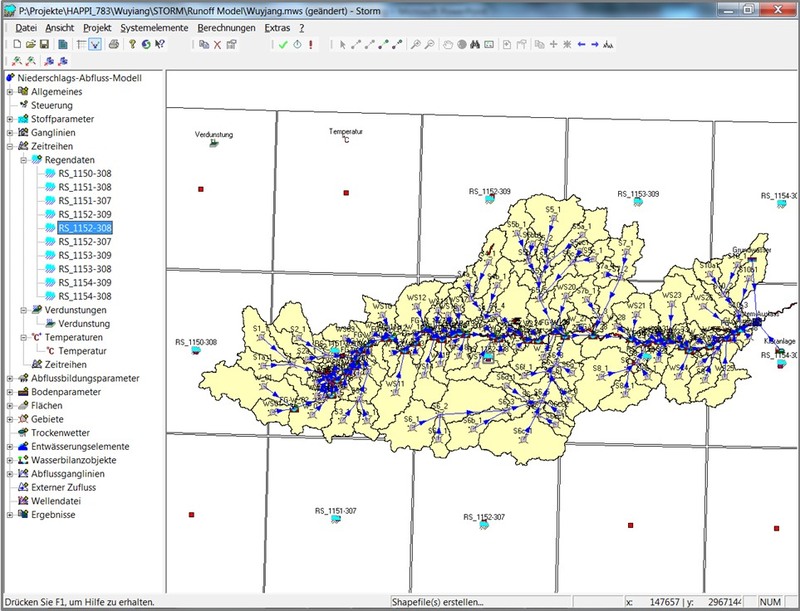 The basic input data of the GIS analysis are the digital terrain model, the river network and hydrological data. To derive improved results, the GIS analysis can be supplemented with additional information such as geological information, information about environmental sensitive areas, land-use, build-up areas, land-ownership, already impounded areas, bridges, power grid, road network etc. 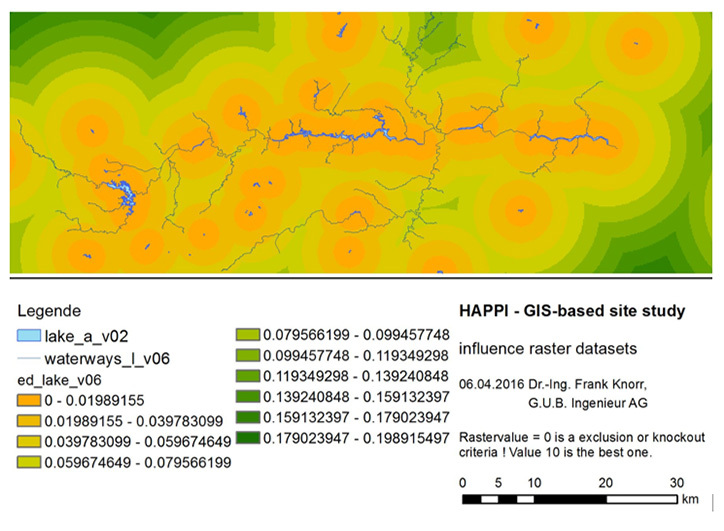 Based on this GIS-supported site study, which delivers a kind of a suitability map of the evaluated area, the most suitable sites for small hydropower stations need to be further determined and examined. The aim of the so-called detailed site analysis, the 2nd part of this guideline, is to increase the similarity of the sites to be chosen as a basis to develop a standardised design approach. Therefore, the detailed site analysis primarily focuses on river morphology, discharge and head (power output). 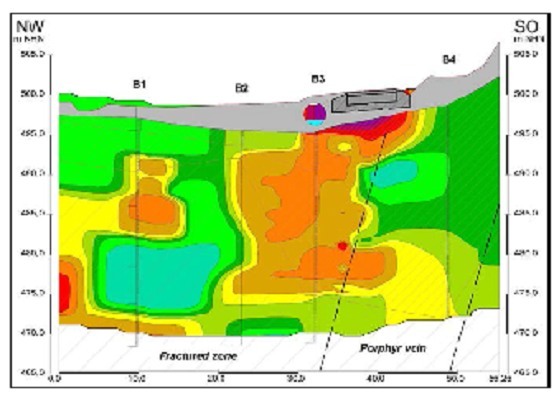 Secondarily, a more detailed view on geology, site access, grid connection, infrastructure, environmental sensitive areas and socio-economics is recommended. Due to the detailed information to be assessed, the detailed site study is an iterative process in order to find similar and feasible sites. At the end of this process, optimal site locations with similar conditions will be identified. The requirements for engineer-geological exploration regarding the foundation of hydropower plants and barrage constructions as well as related buildings need to be investigated. Out of this, a guideline including a systematic approach with an overview of important exploration methods and standards is developed. The guideline is based on German standards, guidelines and technical regulations which relates to geotechnical exploration and evaluation. The objective of the guideline is the further development of modelling and planning strategies for the construction of small hydropower plants at the optimised location, taking into consideration the application of the geographical conditions in China. 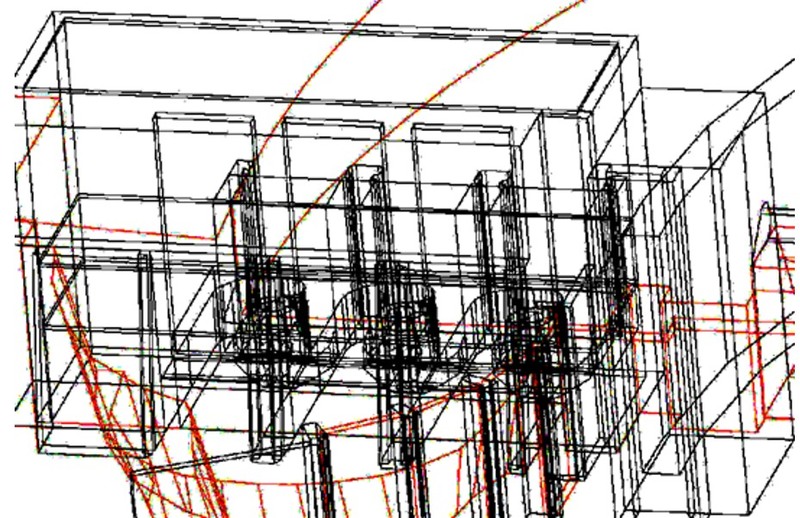 The dimensioning requirements for building design and power plant technology have to be adapted to each location. A geographical site model includes topographical conditions, geomorphology, geological and hydrological parameters of the investigation area as well as local geo-risk factors. As model regions, the Chinese provinces Fuijang and Guizhou in the South or Southeast of the country were selected. surge height during turbine trip. For some of the mentioned aspects, hydrodynamic-numerical modelling (HN-models) is an appropriate approach to gain reliable results under reasonable effort and expenditure of time. Efficient methods which may also be used for the optimization of existing hydropower stations, geometry or operation are 3D-HN-models. 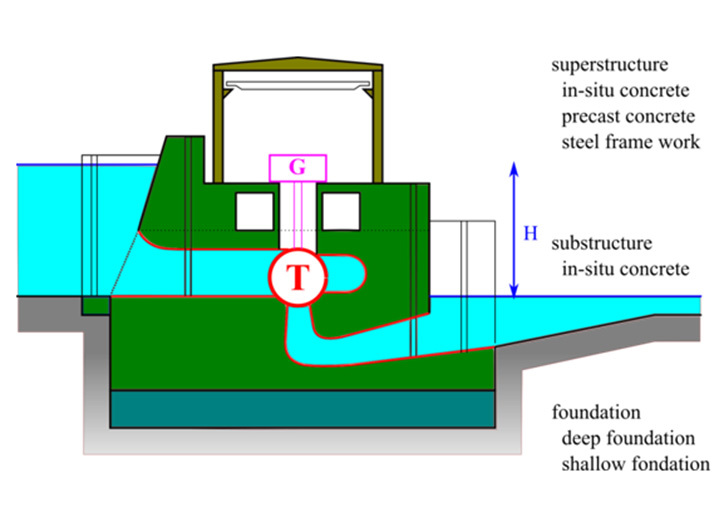 Starting with a CAD-model of the hydropower station which is usually available by the process of design objects of particular interest are transformed into a HN-models geometry like intake structures or power house. 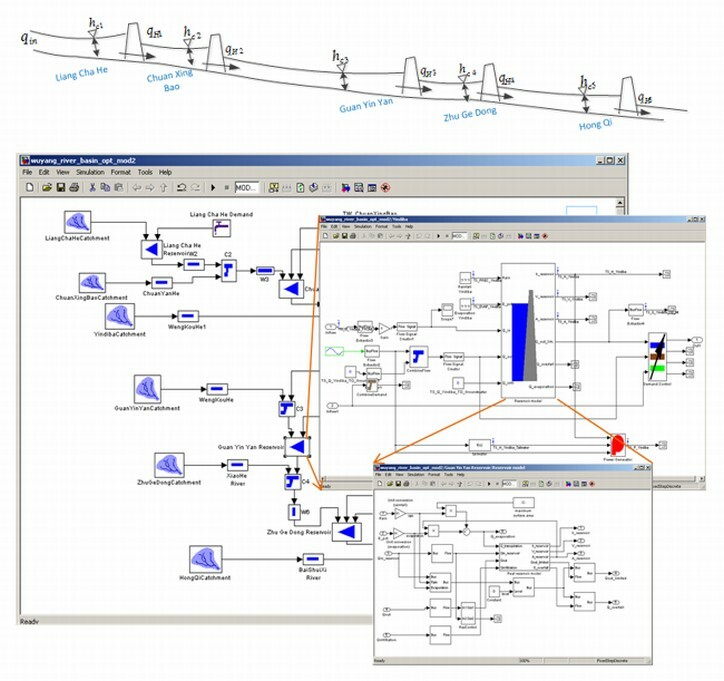 Especially for existing hydropower stations, the visual control of the model may be accomplished easily. Including proper boundary conditions on discharge and water level allow the following numerical calculation. 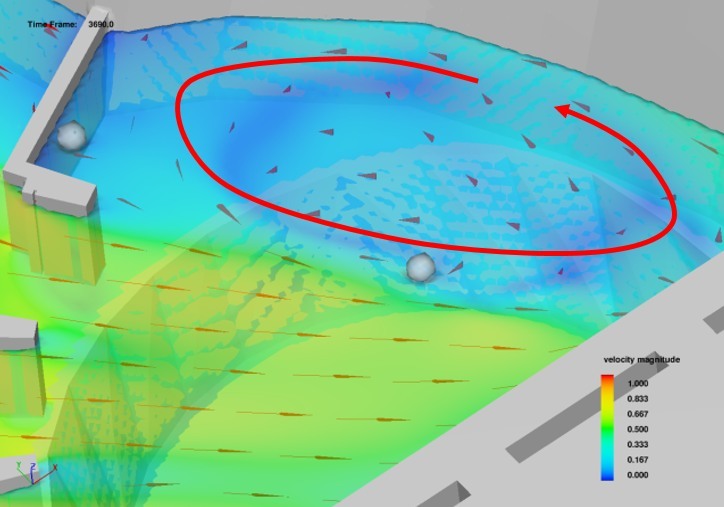 By visualizations of the achieved HN-results and comparing them with experiences respectively reality of an existing situation at an existing hydropower station gives clear conclusions of the reliability of the previously selected hydraulic design and sometimes hints for further optimization. The identification of similar sites is the basis of the standardized design guideline. 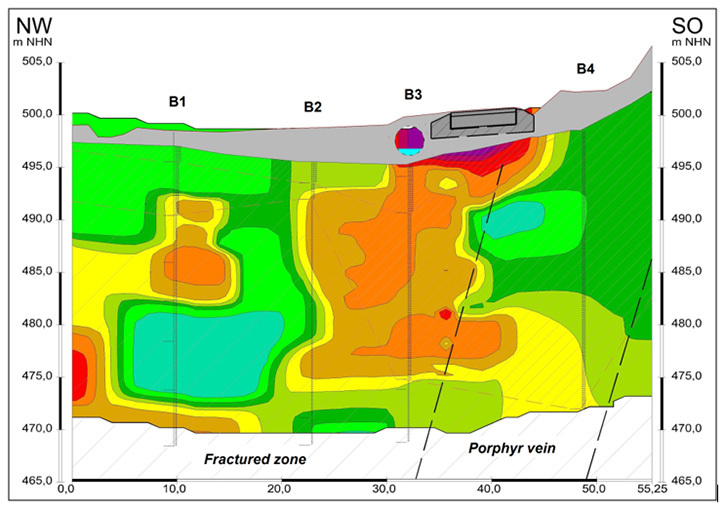 Naturally, each detected site will be unique, however after the optimization of hydraulics and energy output, some sites will nearly have the same boundary conditions in terms of water head, design flow and river morphology. With similar design parameters and a similar general layout, small hydropower plants can be designed and build in a uniform way with minimal adjustments to the local site at the found locations. That would allow the implementation of a standardized design approach for those sites. 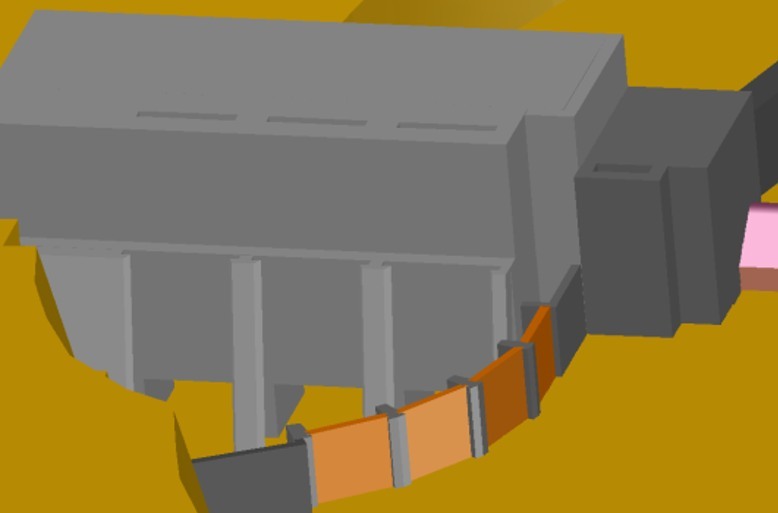 A standardized design approach will streamline the design process, the construction process, the quality as well as maintenance and operation of the plants. "Out of the box" solutions with some adjustments to the local site will become possible. A complete cascade model for Model Region 2 (Wuyang Cascade) was implemented. It is easily adaptable to new structures or projects and easily comprehensible through the Simulinks block system. The construction and operation of a hydropower plant provokes several vast environmental impacts in nature and landscape: Environmental impacts include the natural flow regime of the river, the river continuum, the aquatic ecosystem within the reservoir etc. This can be considered as an encroachment of the soil - surface water - groundwater balance with diverse possible effects depending on the initial position. Therefore, it is inevitable to avoid, minimize or mitigate negative ecological impacts during the planning, construction and operation of a hydropower plant. Within the European Union, encroachments in natural habitats and landscapes are assessed by an Environmental Impact Assessment. Integrating sustainability into the strategic decision making process on hydropower implementations through an application of sustainability assessments is essential for the long term success of these decisions and thereby the hydropower projects. 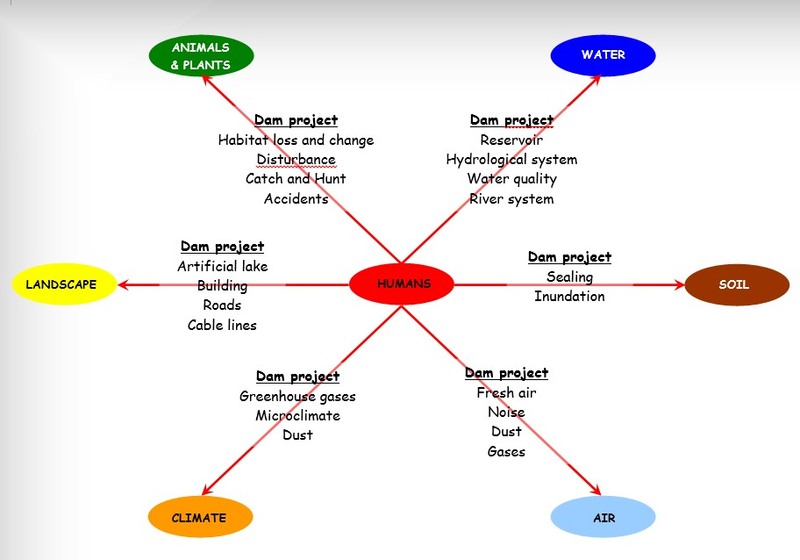 Since there is no internationally agreed upon definition of sustainable hydropower, nor a common approach for the sustainability assessment of small hydropower projects, a methodological framework for the sustainability assessment of small hydropower was developed. 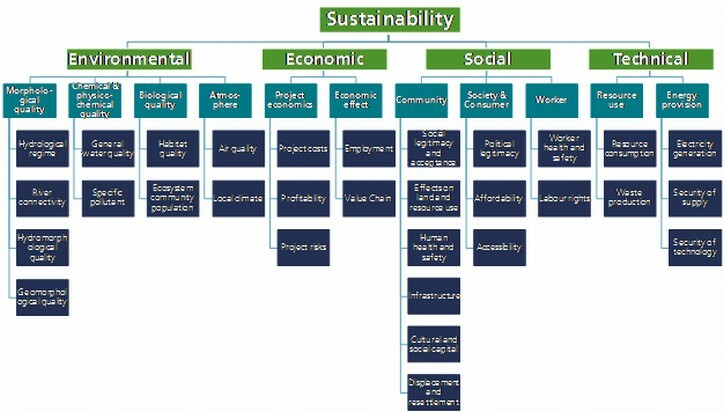 Three levels of the sustainability assessment framework were defined: four sustainability dimensions, 11 impact groups and 30 criteria. The criteria are measured by individual stets of inventory indicators. This work forms the basis of a comprehensive and integrated sustainability assessment framework for small scale hydropower projects. Operator models originate from infrastructural policy. 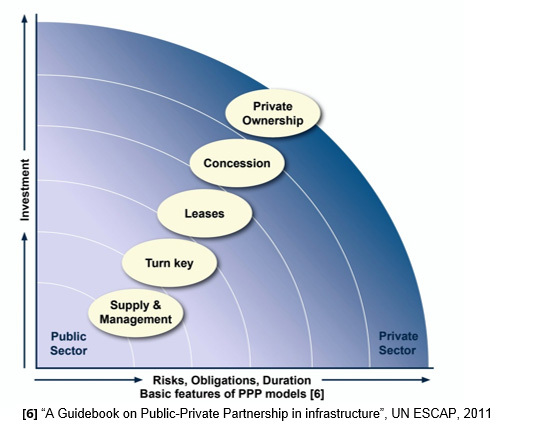 In this context, the term Public Private Partnership (PPP) operator model is used for projects that are almost completely carried out by a private company that is entrusted the performance of a public function (management, planning, construction, financing). In international management, operator models describe projects in which the actual producer transfers parts or the whole production, as well as maintenance to an operator and then acts as a client in relation to the operating company. The guideline explains in detail what kinds of operator models exist and which ones are suitable for the case of SHP constructions in China. Furthermore, the development and set-up of such models is discussed including the definition of their aims and reason to install them. The importance of the distribution of stakeholders from governmental authorities to private sectors and to local population were identified throughout an investigation of Chinese regulations, standards, official notices, as well as content analysis of online sources. 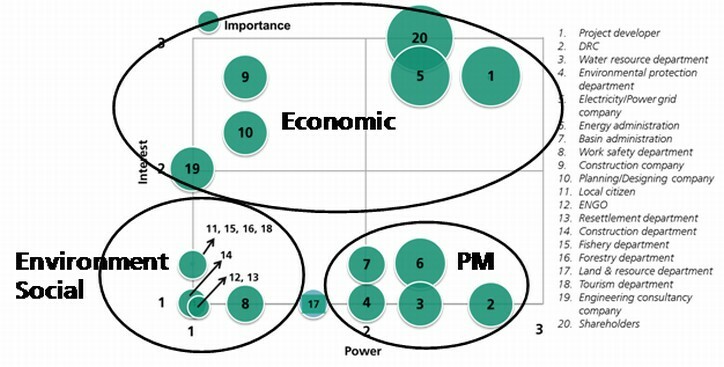 According to a non-representative survey, project developers, shareholders and electricity/power grid companies are the key players. They invest and initiate the project and secure the electricity supplied to customers; therefore, they hold great economic interest in the project. The DRC, the water resource department, the environmental protection department, the energy administration and the basin administration are the stakeholders who hold high influential power and high importance but comparably low interest in the project. Private organizations such as construction companies, engineering consultancy companies and planning/designing companies have a high interest and adequate importance but low influential power. The remaining governmental authorities and the local population can be considered as "crowd" who generally need the least attention due to their insignificance in terms of power, interest and importance. The basement of quality assurance is the application of quality proofed standards and the technical planning tools in accordance with the compliance of environmental sustainable conditions into the design process. The purpose of the technical standards and specifications is to improve the quality and to ensure specified output, reliability and safety of the electricity services provided by SHP plants in a cost effective manner. Necessity, aim, requirements, legislative frame, the current state in China, design quality control methodology and good engineering principles are documented within this guideline. 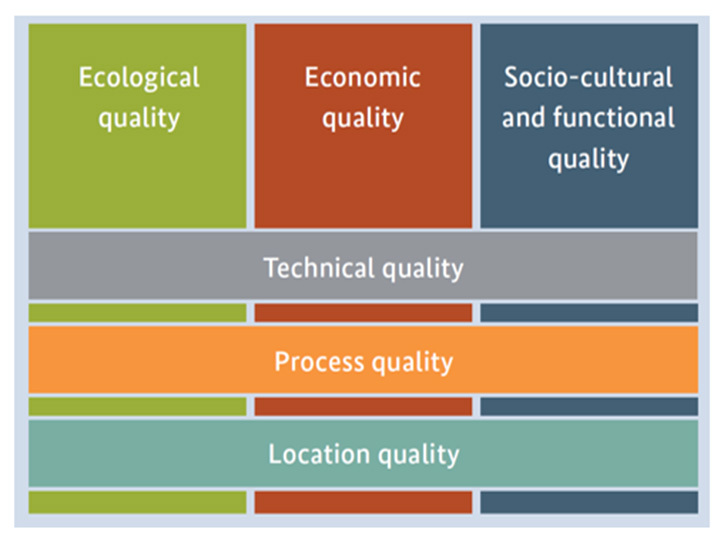 The Guideline on Quality Assurance for environment influenced technologies describes how to set-up a quality system for the development of Small Hydro Power technologies concerning the design and construction. It informs and supports Chinese SHP developers, managers, contractors and planning teams as well as the general public. It does not impose legally binding requirements and may not apply to a particular situation based on the circumstances. The guideline functions as a tool for the clear structured organisation and development of a Quality Assurance System. Occupational Safety and Health (OSH) regulations deal with the prevention of occupational accidents, minimization of their impacts and personal protection at work. OSH regulations should protect the life and health of workers, should safe their workforce and design their work in a human way. This guideline covering Health and Safety (H&S) structures and site organization for water related construction sites describes how to develop an OSH system for running and controlling Small Hydro Power construction sites. The guideline informs and supports Chinese SHP developers, managers, contractors and planning teams as well as the general public. It does not impose legally binding requirements and may not apply to a particular situation based on the circumstances. 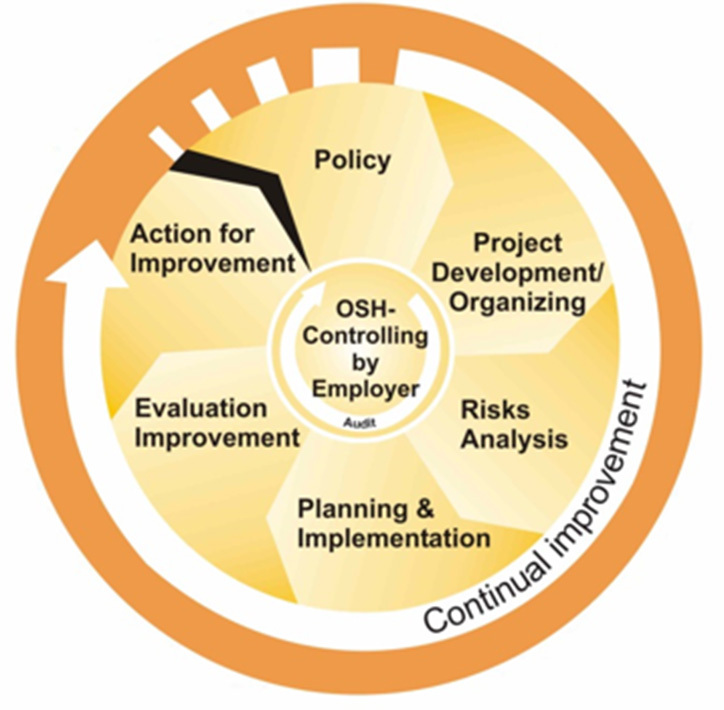 It is a tool for clear structured organization of a practicable OSH procedure knowing the important influence to the construction quality. 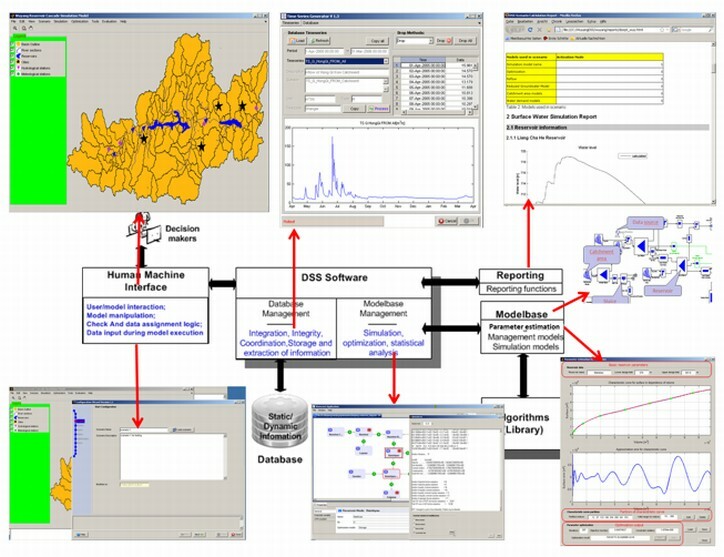 The reservoir cascade control and management system is based on a simulation and optimization approach. Based on the prediction data from the catchment, future reservoir release decisions are made and provided to the control station for operational use. 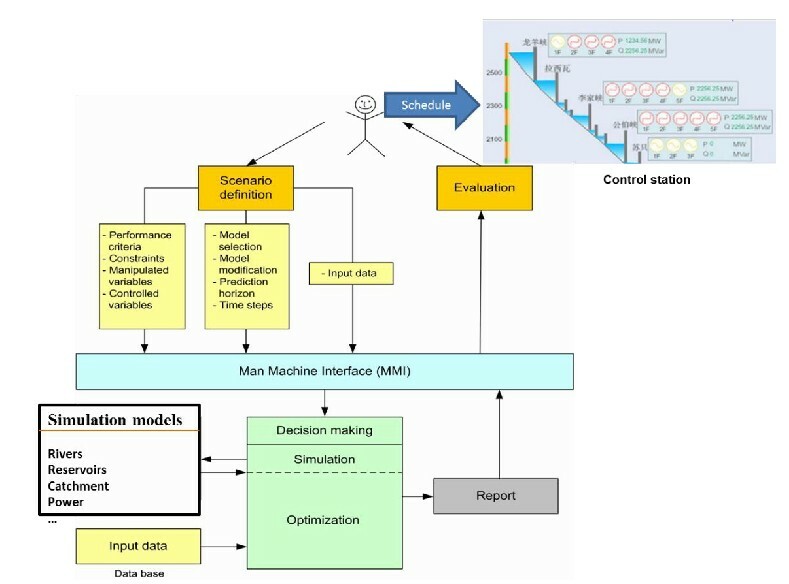 Several modules were developed for different purposes, including the model-base for simulation and optimization, a human machine interface and a reporting tool and database. In addition, a wizard is implemented to organize the user inputs and process execution. The model results correspond to the real data as can be seen in the example of the Wuyang River between Liang Cha he and Guan Yin Yan and the Guan Yin Yan water level. 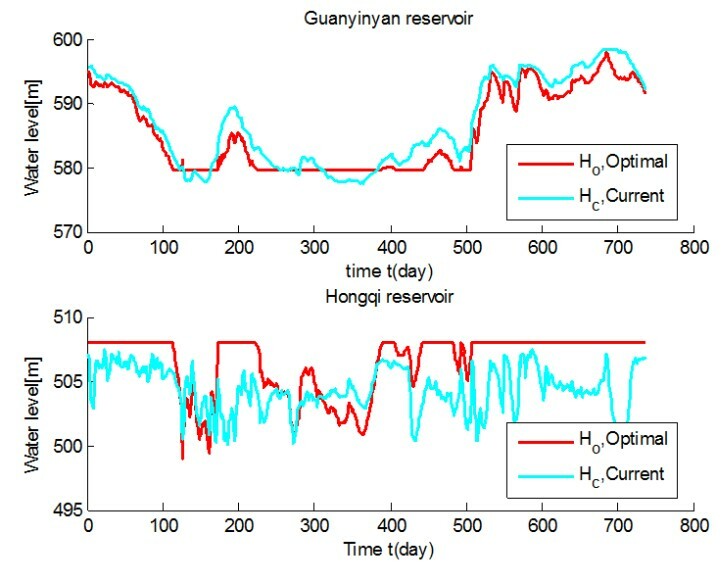 A clear increase in energy production through optimal water storage shifting between the upper and lower reservoirs can be seen and the results correspond to the expected. The DEM of the Wuyang catchment is based on public available data. It is based on a 29 m rasterised dataset which is quite sufficient for the work which will be done for the modelling. A smaller grid size would enhance the quality of the runoff modelling. The land use map is based on areal LANDSAT satellite photographs. These photos have a different color segment band, which can be used for the identification of the land use type. This is necessary because landuse has a strong influence on the runoff. The photos were taken in 2015 what implies that the landuse nowadays might be very different in some areas compared to 2015 because of the rapid development especially in metropolitan areas. 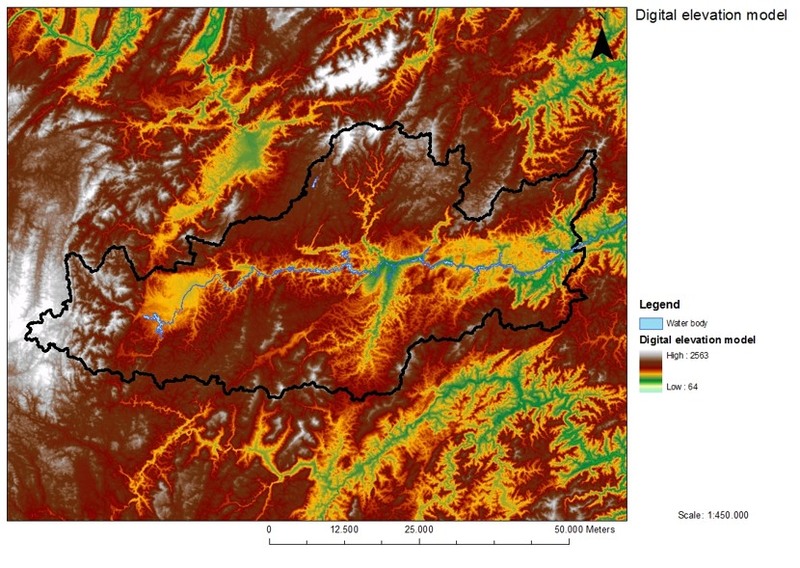 The landuse model for the Wuiyang river basin based on DEM and Satellite photos examining meteorological data, hydraulic data and statistical data on a daily basis is delivered from Chinese partners as well as additionally downloaded from freely available web services. For the calculation of the runoff precipitation, data from TRMM is delivered from a NASA project on world-wide meteorological data for the Northern latitudenal range (10-40 degree). It was prepared and proofed to be used as 3h modelling basis for precipitation. This is an improvement to daily data sets. Raster of TRMM Precipitation stations (P = Station) including subcatchments of the 6 SHPs. The picture shows the velocity distribution resulting from the HN-model. 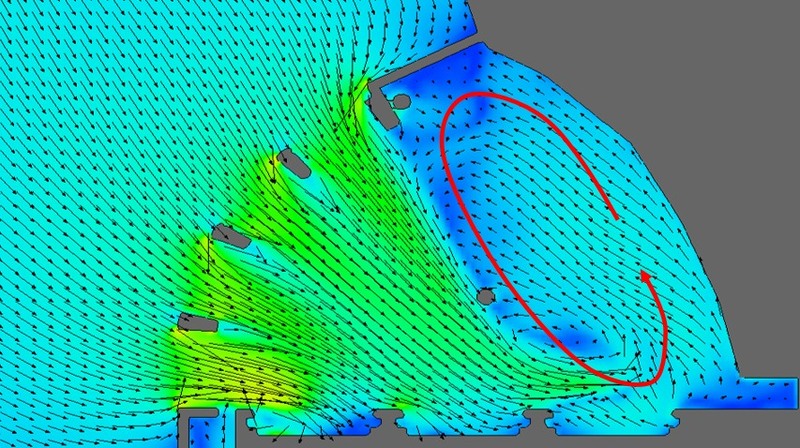 The picture shows the plan view on the surface velocity at the intake structure.